So I'm pumped as are most people, with this awesome monster movie and gundam esque robots. My main question is though, why 2 pilots? It seems complicated and clumsy to have one control one side and the other person the other. If you had it to where 2 pilots controlled different things because of their strengths like intelligence over brawn, with like Char's brilliant tactics and the fighter gundam pilot's skills...Catch my drift? I'm sure in the movie it will all make sense, and there has to be some deeper impact for the reasoning, but analyzing it just makes me wonder why the 2, and why the split? 9 Responses to Why 2 pilots? Hi [b]MREman08[/b], welcome to the [b]Pacific Rim[/b] Fan Community! Yes, I am very pumped as well. To answer your question however, going by the recent [url=http://www.pacificrim-movie.net/news/442]interview with Guillermo del Toro[/url], I'd say two pilots are required to act as each side of the brain for [b]Jaeger[/b], much like how a Human's does. In the commentary which I linked to just now, Del Toro explains: [i]"The pilots wear suits that are neurally linking them," says del Toro. "They have a spinal clamp that links their spines. They have relay gel in their helmets that transmit their impulses to one another. They move in synchronicity. One is handling the neural network of the left side of the Jaeger, and the other is handling the neural network of the right side of the Jaeger. They are connected between them. "[/i] Pretty neat concept if you ask me! I wouldn't share my mecha. and the spinal clamp O.o , I prefer the old fashioned way , with a pilot inside the mecha... no that avatar/matrix one. ¬¬ spinal clamp .. I'm pretty sure the pilots are still within the Jaegars and not remote controlling them. Regarding the two pilots thing I'm pretty sure the Japanese Jaegar Coyote Tango only needs a single pilot so you can solo that one :) Just don't go near Crimson Typhoon, you'll go nuts. Although linked I thionk the two minds can better sort out what action is needed in any battle situation. Sorting pout the left side/tight side Robot operation just gives more immediate feedvak of a very complicated Robot. Like other that have posted I do sort of wonder if there is anaylitical side and a concepual side represented by the pairing of two humans in one robot. What's the old adage: Two Heads are better than one. Two seems to be a convention not a rule, as Rokku says. 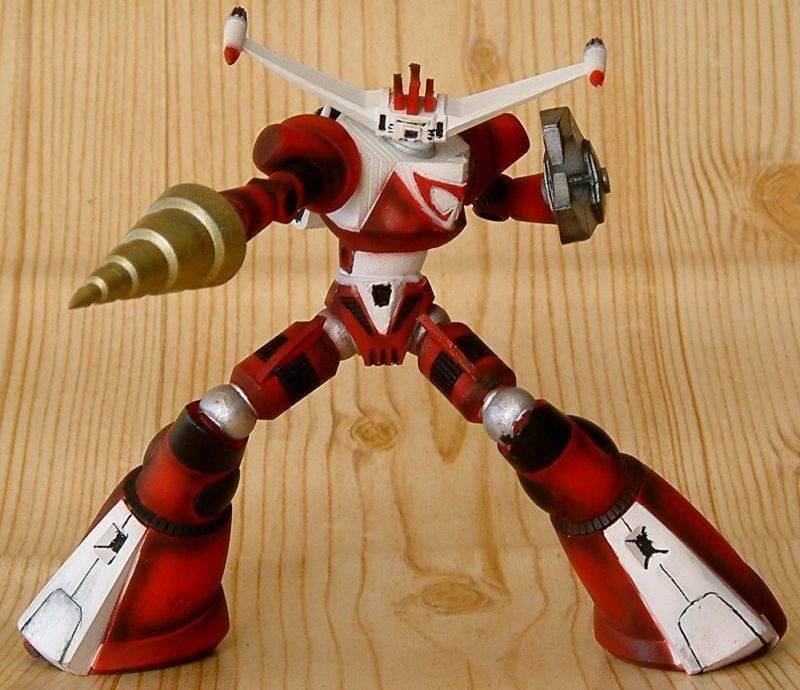 Note also that Crimson Typhoon has 3 arms. It's also stated that one of the main characters lost his brother and co-pilot while piloting and finished the battle. While he apparently was severely traumatized the alternative would have been a Jaeger sitting inactive while the Kaiju continued wrecking things. One pilot simply isn't enough redundancy when you have so many eggs in one basket. I'm sorry but I'm not buying this explanation. We as humans already have a right and left brain side, and we can't make our whole brain function as 1 side, which this ''explanation'' seems to suggest. And the further question is why we need 2 pilots to pilot a mecha which is completely shaped like a human? We don't need more processing power in our heads, to pilot something that's shaped the same way as a human. That explanation has no logic to it. If they didn't have any reason other than artistic design, than they should've said so. I just can't make myself accept half-assed explanations like that. The movie is great, but yeah.. That's 1 of the few problems that annoyed the hell out of me. The real explanation is that... it's [i]cooler[/i] with two pilots. Character interaction and all that.